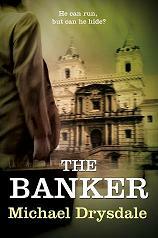 The book is written mostly from the point of view of Malcolm Bannister a small town lawyer serving 10 years for a money laundering crime he did not commit. I thought there was a lot of padding in the first half of the book covering Malcolm’s backstory but I did find the description of life in an open prison reasonably interesting. Malcolm cuts a deal with the FBI where in return for his release he reveals the identity of a murderer of a Federal judge. After his release it soon transpires that Malcolm has his own agenda and plays a cat and mouse game with the FBI. There is more padding in the second half with a lengthy description of Malcolm playing the role of documentary film director. By this time I could see the big twist coming. While quite readable this book is not up to Grisham’s usual standard. There is too much padding and the main character while at first sympathetic as the little man against the system, turns into a cold blooded operator with secret agent skills way beyond any small town lawyer. 3 stars (only just).